Kids love getting things addressed especially to them in the mail, and so monthly subscription boxes are a great way to combine learning and fun with the thrill of getting mail. 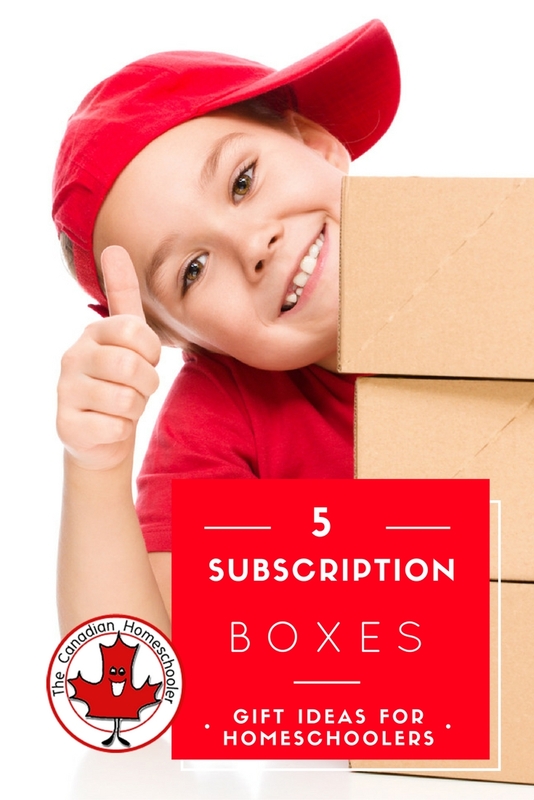 Here are 5 terrific subscription box companies. If you have younger kids, you can also get an Early Explorers kit, which is geared for preschoolers to start their exploration of the world. Plus they have a lot of extra new additions in their store – such as a plush puppy, world coins, a backpack, and even a coral reef kit. New for 2016, Little Passports introduces Science Expeditions , a monthly subscription that sends your child a kit full of scientific fun. Solve science mysteries, do experiments, and feed your child’s natural curiosity. Designed for kids ages 9+. We’ve been reviewing it this year and have had SO much fun with it. Check out our review here: Science Expeditions. Age Range: Ages 5-10. Early Explorers is for 3 – 5 year olds. Science Expeditions is for 9+. #2. Curiosity Box : Canadian. This monthly activity box is filled with 3 crafts and an activity plus everything you need to complete them (including instructions!) based on a theme for the month. Cost: Single boxes cost from $26.50/month. Subscribing ahead helps lower the cost – a year’s subscription lowers it to $24.50/month. Sibling add-ons are available at an extra cost. 4. Brick Loot. Have a LEGO fan in your house? This is the box they need! A monthly box of LEGO related theme-centred goodness. 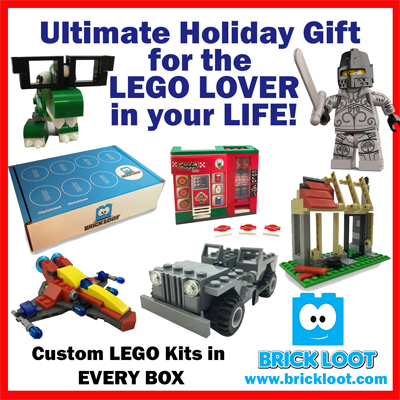 “You will receive a Brick Loot box filled with LEGO and brick related items. We search high and low for the newest, coolest and most outrageous items you will not find at your local toy store. All items are hand picked by our LEGO loving team and sure to leave you with a BIG smile. Coolest of all? This company was started by a 9-year-old boy named Parker (who is now 13 years old). Cost: Individual Monthly Boxes are $27US, or subscriptions can lower it down to $24.95US / month. Shipping to Canada is $13/month. Age Range: Recommended for ages 6-99. Wow! A HUGE Thank You from this Canadian Mom whos been pulling he hair out at unaffordable US Shipping costs! Seriously, thank you soo much for bringing my atention to these amazing canadian Companies! Dont get me wrong, we are do alot of US on line shopping regardless but for these creative boxes, I was looking for some affordable options, for which youve shared plenty! PS i found this post through your recent Holiday Gifts for Homeschoolers email article 🙂 Happy Holidays! I totally agree and I think that all packages look like fun for all. We’re doing our first unit study on animals using the Thornton Burgess books along with our Science curriculum! We love the DK books, they are so much help! We are totally encyclopedia lovers, which DK is most know for! Thank you for the options. I am always on the look out for new sites (to me) that have fun stuff for all occasions! THANKYOU for the great ideas and a chance to win! My boys would love the little explorers box. It would be neat to start exploring the world with them through the boxes. This is such an awesome compilation of information! I love subscription boxes but the US prices are insane for us right now. Nice to have Canadian options! My daughter will be all over that creation crate when she’s older. Love this idea! A couple of my kids would love the Nerd box and the Lego ones! This would be an amazing gift for my girls…8&10 years. hehe yes – I totally would love a nerd block! Thanks for the information and chance to win a giveaway. My kids would LOVE the brickloot one but we travel 6 months of the year so the Passport one will be well received as well. My daughter would enjoy all of them, but Little Passports would be fantastic. I didn’t know there were so many Canadian subscription boxes! Thanks for sharing them! My oldest loves maps and would love the Little Passports subscription! Thanks for the chance to win! And for highlighting Canadian subscription boxes, which I didn’t know about before. I think we would be passport fans around here. Thanks for the chance to win! I think my kids would like the World Passport kit. Suuuuuch an amazing post! My kids are still too young for most of these (other than the Young Explorers!) but I will be saving this post for later! Love all the Canadian options! This is awesome! And so is your website! This is my first year homeschooling and your website has provided so much information and feedback on products. Thank you! 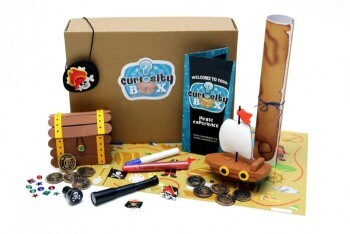 I think my son would be most interested in the Little Passports Science or the Creation Crate! So fun! My son would enjoy Science Expedition and Nerd Block. Thank you for posting these. I knew about Little Passports but not the others. Thank you for the subscription box reviews. Great information! My 7-year-olld would love the brick loot box, my 11-year-old would love the creation box, and my youngest would love the little passports box. I think my children as a group would like the Science Expedition. I’m unsure about the Lego box because when I read the details, it says that not all of the contents are real Lego, some of the stuff is “Lego compatible” (which can sometimes mean lower quality) and the box is not supported or endorsed by Lego at all. My son would love it still, I’m sure. This is a very helpful list – thank you! I love seeing the Canadian Companies especially as shipping from the US is prohibitive for others. My kids would love all of these, but I think all of them would enjoy the Creation Crates the most! Thanks for this giveaway. How awesome!! Such a great prize giveaway!! I would think my son would be interested in the passport world or science. My daughter would absolutely love the Little Passports World Edition — she has, in fact, been begging me for it for the past week or so. I’m sure my son would like the Science Expedition one! I’ve been looking at a few of these and really appreciate the reviews! I was seriously considering getting my two youngest kids each a subscription to Brick Loot. They go bonkers for Lego! I’ve looked into so many of these boxes but haven’t been able to commit. I’d love for my kids to give the Little Passports one a try!! 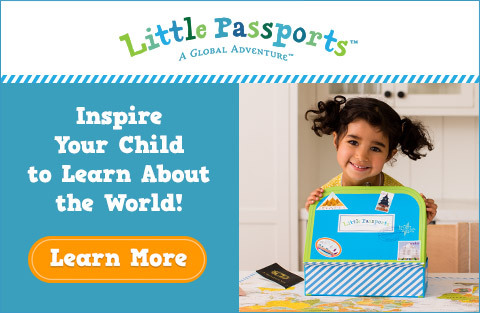 My son would love The Passport and Lego subscriptions! They would be a great Christmas gift option!! My kid would LOVE a science box delivered every month! He has gone from saying he wanted to be an alien doctor to an everything scientist to the most recent, possibly marine biology with two other science degrees he has not decided on yet! Would live to try this with the kids. Thanks for the oppertunity! Fingers crossed. We are currently doing the world geography, would love to try the science kit! I have kids ages 4-10 and I can see someone in this house loving any of the subscriptions! Might have to change up Christmas presents to include one or two of these. Love the idea. I think at my kids ages they would love the little passports the most. #my son would live the science edition! My son would probably love the lego box and the science part of Little Passports. Another great subscription box is Kiwi Crate. They have STEM and art options for children ages 3-teenager.